For the Spurs v Juventus UEFA Champions League clash on Wednesday 7 March at Wembley Stadium, BT Sport and UK mobile network operator EE carried out the first-ever test of HD HDR live broadcast to mobile devices. 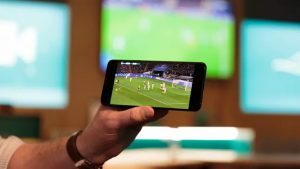 The match, which was won 2-1 by the Italian team, was broadcast successfully to a beta version of the BT Sport App and the picture quality, in comparison to standard HD, was significantly better and equivalent to a 4K experience, according to the operator. EE stated that the test showed that 4K was not needed for mobile device broadcasts. As to why the broadcast was carried out, Matt Stagg, Head of Media and Entertainment at EE, told SVG Europe that it was about helping bring a true live broadcast experience to fans without using up their data allowance. “This is the first time an HD HDR live broadcast has been done to mobile. A lot of people think that 4K is the ultimate experience, however, on mobile your eyes can barely tell the difference between HD HDR and 4K due to the screen size and the distance of the screen to your face. “We think that the ultimate experience on mobile is HD HDR; the enhanced colour spectrum that HDR gives really helps to immerse the fan in the experience, in fact, it isn’t possible to see the colours that HD HDR provides on a mobile device unless you are seeing it with your own eyes, live in the stadium,” Stagg added. BT-owned EE chose to run the trial at the Spurs v Juventus match as it brought together the strength of the team, with BT Sport owning the rights to the match and delivering the production side, and EE providing the mobile network and top end devices. BT Sport’s production of the match used its standard Champions League set up of 24 Sony HDC-4300 cameras around the stadium. Andy Beale, chief engineer at BT Sport, explained: “The nice feature about the Sony 4300’s is they have two outputs; one does normal 4K SDR and the other does 4K HDR. The only thing different in the set up for this broadcast is a second slave SAM Kahuna vision mixer that follows what the primary mixer does, so you have two completely different signals that mirror each other. The second HDR vision mixer also up-maps the few non-SDR sources such as RF cameras to HDR. 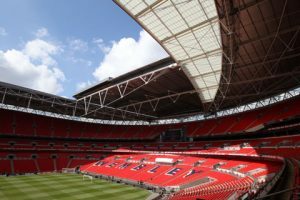 EE and BT Sport tested two cloud providers on the night of the live broadcast; AWS Elemental Cloud (BT Sport’s usual provider) for one feed, and Harmonic’s VOS cloud for the other. Akamai, which provides BT Sport’s CDN service, was also used.